919 W Illinois St, Urbana, IL. Champaign-Urbana Fab Lab, 1301 South Goodwin Avenue, Art Annex 2, Urbana, IL. 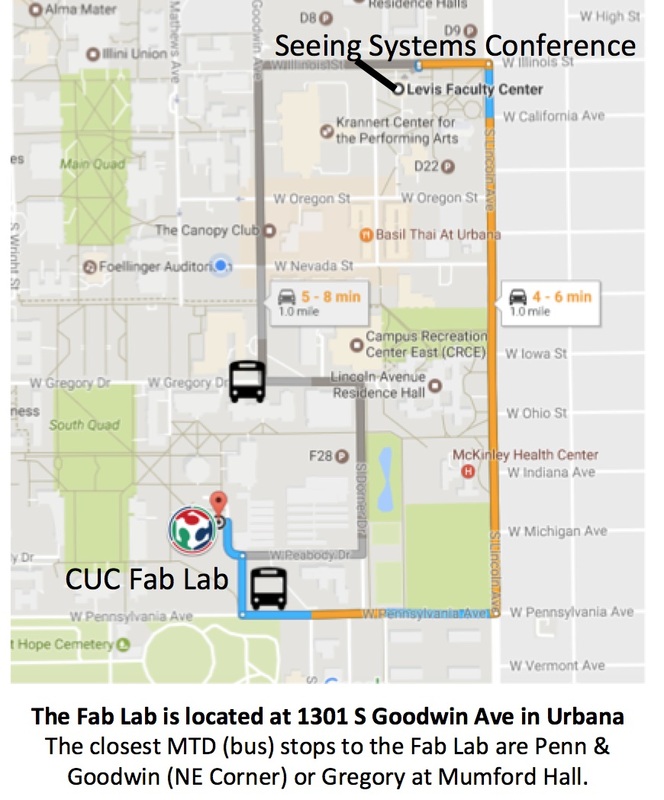 Directions to CU Fab Lab from Levis Faculty Center. carpools will be available and announced for Friday afternoon transport from the Levis Center Conference Venue to the Fab Lab. walking from the Levis Center Conference Venue to the Fab Lab is about 15-20 minutes. 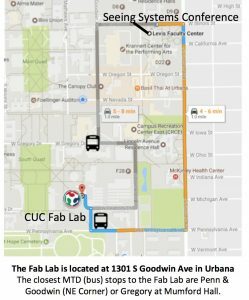 the closest MTD bus stops to the Fab Lab are Penn + Goodwin (NE Corner) or Gregory a Mumford Hall. See map below. In this Political“Huipil” (a traditional blouse in indigenous southern Mexico) we will be collectively creating artistic plastic miniature huipiles. It is focused on creating a community to share our migrations stories, frustrations, and concerns during the current political climate we are facing. The intent is to open up conversations of difficult topics such as migration, racism and gender inequality. All genders, races, ethnicities, religions, ages, and sexualities welcome. No art background needed, only open hearts and minds. Refreshments and materials will be provided.